From the bestselling author of Pompeii comes the first volume in an exciting new trilogy set in ancient Rome – an imaginary biography of Cicero, Rome 's first and greatest politician. Of all the great figures of Roman times, none was more fascinating or attractive than Marcus Cicero. A brilliant lawyer and orator, a famous wit and philosopher, he launched himself at the age of twenty-seven into the violent, treacherous world of Roman politics. Cicero was determined to attain imperium, the supreme power in the state. Beside him at all times in his struggle to reach the top – the office of Consul – was his confidential secretary, Tiro. An accomplished man, Tiro was the inventor of shorthand and the author of numerous books, including a famous life of Cicero, unfortunately lost in the Dark Ages. In Imperium, Robert Harris recreates Tiro's vanished masterpiece, recounting in vivid detail the story of Cicero 's rise to power, from radical young lawyer to first citizen of Rome, competing with men such as Pompey, Caesar, Crassus and Cato. Harris's Cicero is an immensely sympathetic figure. In his introduction to this imaginary memoir, Tato states: “Cicero was unique in the history of the Roman republic in that he pursued supreme power with no resources to help him apart from his own talent… All he had was his voice, and by sheer effort of will, he turned it into the most famous voice in the world.”Ever since Walter Scott wrote Waverley, the dominant tradition of the historical novel has been one of obsessive realism. Why this should be so is no great mystery. By and large, only novelists who take drug culture as their theme, or perhaps a poverty-stricken upbringing in Ireland, feel under greater pressure to demonstrate the authenticity of their material. This, for historical novelists who do not push their settings too far back in time, can often prove a positive inspiration. 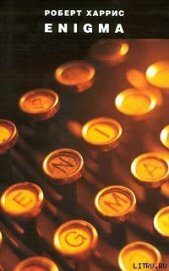 Robert Harris, writing about Bletchley Park in his thriller Enigma, was evoking a period when the fashion in English fiction had itself been broadly realist. Not only did this provide him with a ready supply of juicy period detail, it also justified the recycling of it. A genre, after all, is as much a product of its time as anything else. A novel set in 1940s England has every right to be as realist as it likes.But what about fiction set in the more distant past? We have plenty of literature from the pre-modern era, but it is often of limited value to writers working in the realist tradition. Indeed, in most periods of ancient history, there isn't much of a reality to be realist about. The most surefire solution to this problem, because also the most brutal, is simply to embrace anachronism – what might be termed the Up Pompeii approach. The modern exemplar of this is Lindsey Davis, and her hugely entertaining Falco novels. Flavian Rome may provide the backdrop, but there is never any doubt that Falco himself, for all his togas, is a thoroughly modern private eye. Indeed, since the genre of the detective novel is a modern one, it is hard to imagine what a credibly ancient private eye might be like.Harris, whose first three novels were set in the 20th century, played things similarly safe when he too moved back in time to Flavian Rome. Pompeii, a thriller about the eruption of Mount Vesuvius, was essentially a blending of Chinatown and any number of disaster movies. 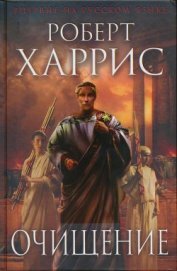 As a page-turner, it was predictably gripping; but as a recreation of the 1st century AD it had inevitable limitations. How, after all, was a contemporary genre supposed to offer an authentic vision of a period to which it was profoundly alien? This is a question to which Harris has evidently been giving much thought; and in his new novel, Imperium, he presents us with his solution.The setting, like that of Pompeii, is classical. A century and a half before the eruption of Vesuvius, the Roman world was administered not by an emperor but as a republic. Rival players competed for the fruits of power: the "imperium" of the title. Since Rome was by this stage the undisputed mistress of the Mediterranean, the potential pickings were mouth-watering. As ambitions turned ever more carnivorous, so politics took on an increasingly lurid and epic hue. 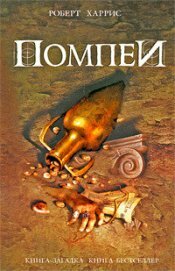 Two thousand years on, those who emerged from the power struggle still cast a lengthy shadow over the imagination: Pompey, Crassus, Caesar, Cicero.Rich material for any writer – but there is a further reason, I suspect, why Harris has chosen the mid-1st century BC as his setting. It is, by a wide margin, the best documented period in ancient history, with what is, for the classicist, a whole wealth of evidence: orations, memoirs, even personal correspondence. Harris, like an excavator restoring a shattered mosaic, uses material native to the Romans whenever he can, fitting the fragments of real speeches and letters into the patterns of his own reconstruction. The result is an experiment as bold as it is unexpected: a novel that draws so scrupulously on the Roman source material that it forgoes much of what are traditionally regarded as the prime features of the thriller. Although there is detective work, there is no detective; although there are twists and turns, there is rarely any artificial ratcheting up of suspense. Instead, Harris trusts to the rhythm of the republic's politics to generate his trademark readability, a rhythm that the Romans themselves enshrined in their literature as something relentlessly exciting: in short, a thriller. Genres ancient and modern have rarely been so skilfully synthesised.Like I Claudius, a novel that similarly exploited the resources of classical literature, Imperium takes the form of a memoir. Tiro, the shy and bookish slave who writes it, was celebrated in ancient times as the inventor of shorthand: Harris has him transcribing key conversations and speeches with a flawless accuracy, and even, on one occasion, when he is secreted into a conference, serving as a human bug. But that is not the limit of Tiro's value as a literary device, for he was also the slave of the most prolific author in ancient history, the Roman who more than any other reveals himself to us in all his manifold contradictions, his brilliance and his blindness, his ambition and his vulnerability: Marcus Tullius Cicero.Tiro's master, unlike the aristocrats who customarily secured power in the republic, was a parvenu, with no family tradition of imperium to draw upon, and few other resources save for the spell-binding power of his oratory. It was this that made his rise to the consulship, the supreme office in Rome, all the more extraordinary; and it is the story of this rise that Harris uses to structure his narrative. Cicero, who was as vain as he was insecure, would have been delighted by the result. Once, in a letter to a friend, he anxiously wondered what people would be saying about him in a thousand years' time. To know, more than two millennia after his death, that he is the hero of such a gripping and accomplished novel must be giving his shade the most exquisite delight. 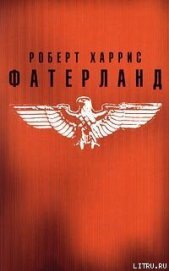 Захватывающий шпионский детектив Р. Харриса, автора уже переведенного на русский язык и завоевавшего популярность у массового читателя романа «Фатерланд».Напряженная и драматическая борьба за обладание секретом немецкой шифровальной суперсистемы «Энигма», от которого зависит успех военных операций в Северной Атлантике, сопряжена со сложными политическими интригами, яркими любовными страстями и запутанными шпионскими манипуляциями.Для всех любителей современной остросюжетной прозы.